This version of the roulette bonus game features two bonus features, Deal or No Deal and the Phone Bonus, plus a random Bankers Bonus free bet on losing spins. The Deal or No Deal Bonus is triggered when the Box symbol on the outer wheel lines up with the Roulette ball. Once triggered, the game environment will change to play the bonus feature. Start by picking a box from the shelf to be your lucky box. Then choose boxes one by one to reveal the amount inside them. The associated amount will be removed the red and blue paddles at the side of the screen. You can use the Quick Pick button to choose boxes quicker. Once a box picking round is complete, the Banker will interrupt play and make you a cash offer for your lucky box. Choose to accept the Bankers Offer (DEAL) or carry on playing (NO DEAL). The Banker’s Spin Bonus is triggered when the Telephone symbol on the outer wheel lines up with the Roulette ball. Once triggered, the game environment will change to play the bonus feature. You have up to 3 Spins to collect the best prize. Start by picking a box to select the value of your prize wheel; it could be gold, silver or bronze. 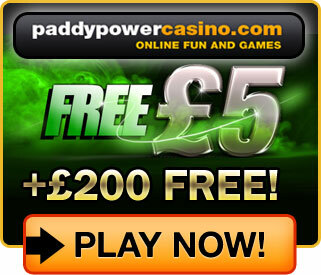 Once your prize level has been chosen, cash amounts will be displayed on the Roulette wheel. The wheel will spin and the ball will settle next to a cash amount. The Banker will then ask you to accept that cash amount as a prize (DEAL) or spin the wheel again (No DEAL). After each offer, you will choose another red box to determine the prize level of the next spin but watch out as the prizes may go up or down between spins. 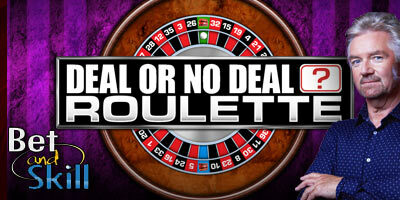 "Deal Or No Deal Roulette - Free Play - No deposit bonus - Free Spins"